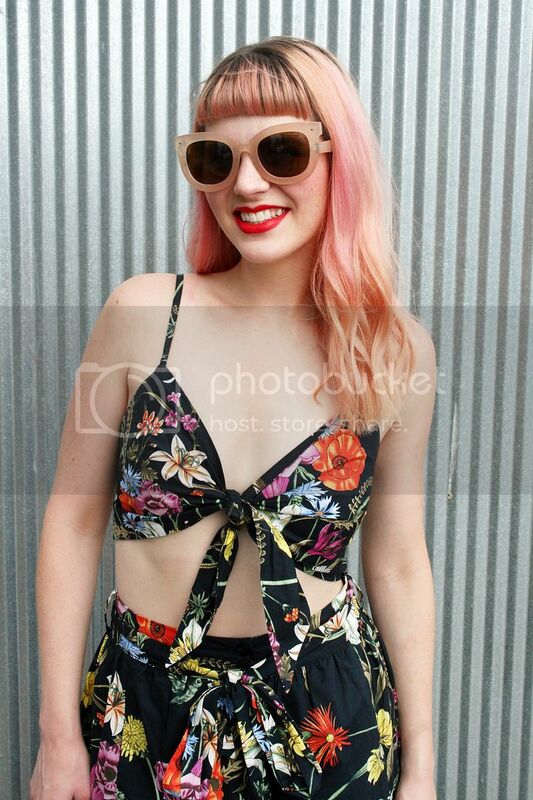 Woah, crazy, more tropical prints!! We. cannot. get. enough. 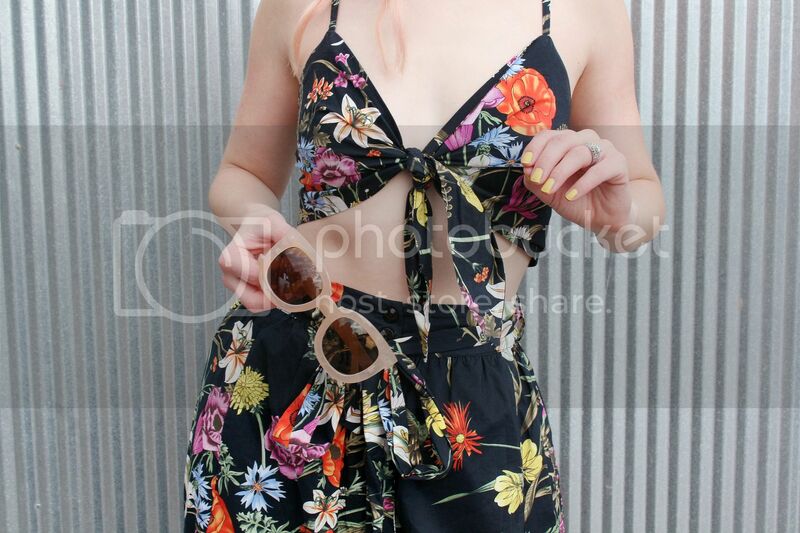 I snagged this awesome co-ord set when I saw it before summer even hit! (It's only still available in size L, but I've linked similar ones at the end of the post.) I love the dark background behind the florals, because I feel like it makes the pattern a bit more sophisticated. 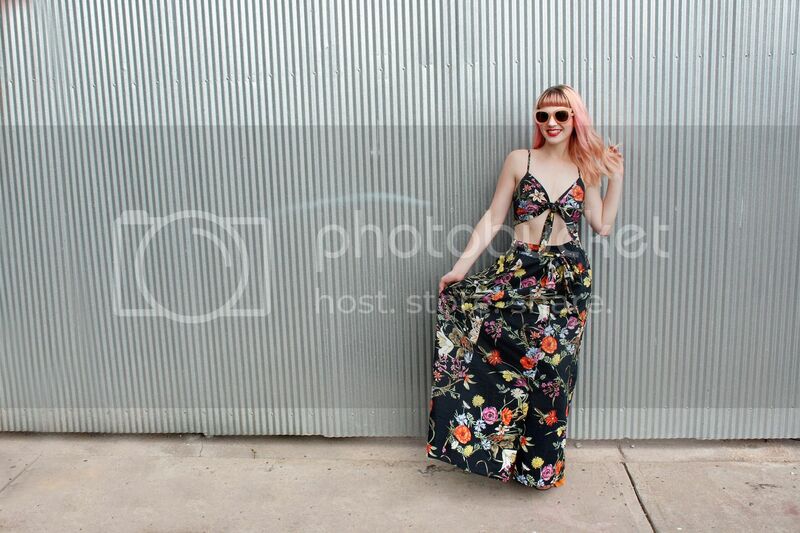 The tie crop top perfectly balances out the button front maxi skirt. Personally, when I wear things that show a little skin, I like to have a more modest cut to even things out. 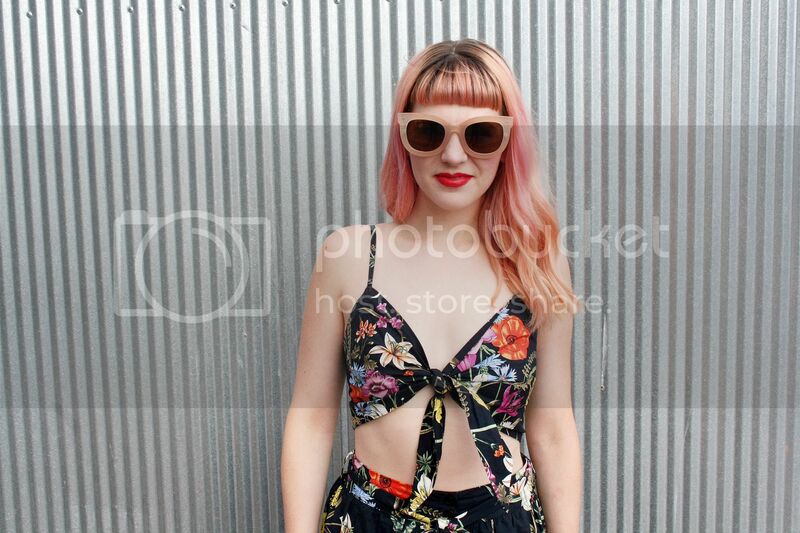 A crop top and long skirt, or shorty shorts and a flowy top. In my opinion, it's all about balance! I paired the set with fun bow slides, blush pink sunnies, and a hot coral lip to round out a look I'm calling urban-tropical. Totally going to make that a thing this summer. Tropicurban? Jury's still out on the name. How about you, would you rock a co-ord set? Or it is to matchy for you? Let us know in the comments!